We had a great time in Phnom Penh for two days. All of us were anticipating for the great Angkor Wat (the main attraction of Cambodia) in Siam Reap. 2) By bus (which is 13USD per person). We took the bus because it was the most "user-friendly method towards our financial circumstances". However we need to endure the 7 freaking long hours of HELL just to reach Siam Reap. Students on their way to school. One last picture of some random shop. The writing is somewhat like Thailand. Passing by the river that leads to the great Mekong River. The journey from Phnom Penh to Siam Reap by bus was crazy. That's due to the super bad road. Oh wait... they don't have a road actually. Our bus tour guide. She's not Karaoke-ing ya. 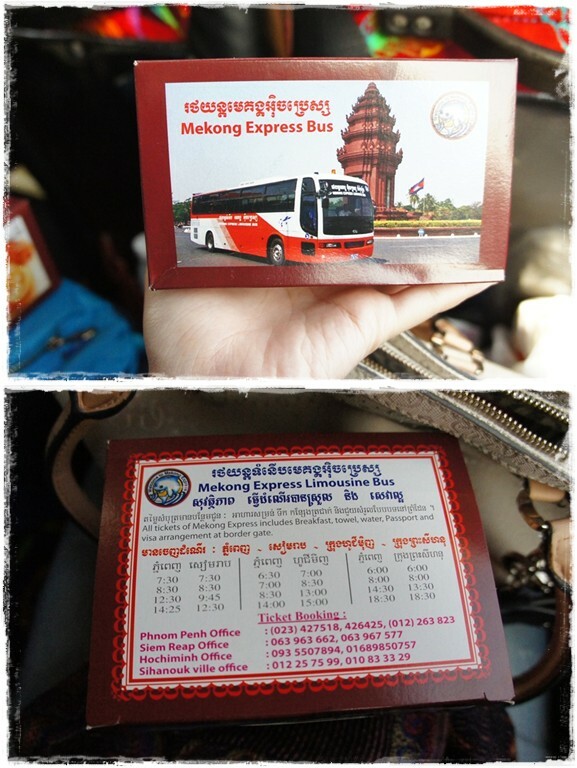 Complimentary buns from Mekong Express Bus. My personal stock for the 7 hour journey. And the red soil is basically our road. Now you know why it took us 7 hours to arrive Siam Reap. Luckily this singer entertained us for the entire journey. Well his hairstyle memang tak boleh blah. While he was in the middle of shitting, a pretty girl barge in and cried on his shoulders. Please watch the clip alright. Our first stop in Siam Reap was Angkor Artisan. A place where you can find great Khmer craftsmanship. Our next stop was somewhere that was related to skeletons. A place where skulls were kept nicely for tourists to see. Can't remember what was it called. Nothing much to see anyway except for this picture below.